Lines open in 13 hrs 11 mins. The PS-6 Popper Stopper microphone pop screen is an effective studio tool for softening explosive consonants and controlling excessive breath noise in vocal recording. The PS-6 Popper Stopper is widely recognized throughout the recording and post-production communities as the leading tool in pop elimination technology. 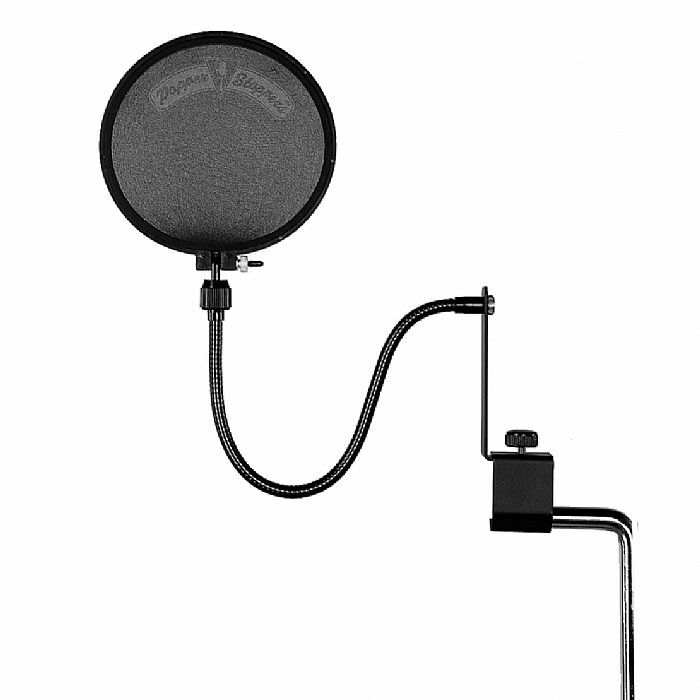 With a 6" diameter, the highly durable 4-layer screen stops plosive consonants such as p and b, while the fully adjustable 14" gooseneck and mic stand clamp ensure flexibility across any number of applications.